In 2019 we will meet every Wednesday, starting Wednesday April 10th. 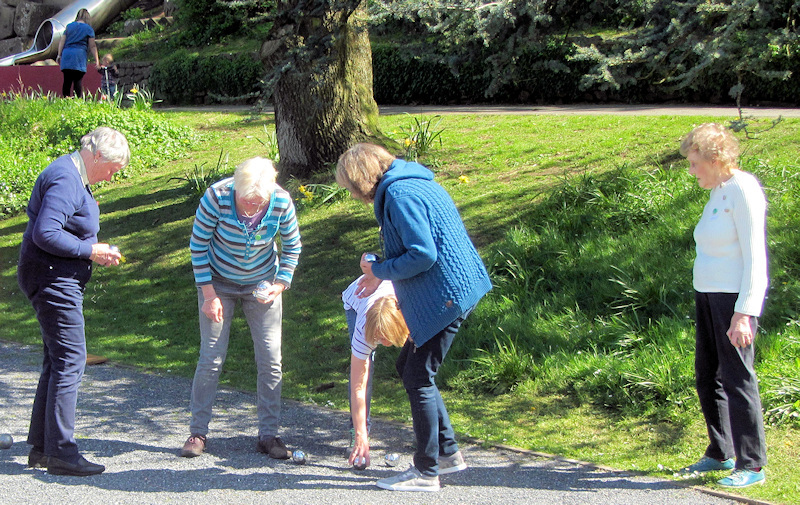 We meet at 1:30pm at the Pétanque Court in the Recreation Ground. New members are welcome, but please phone or e-mail first. 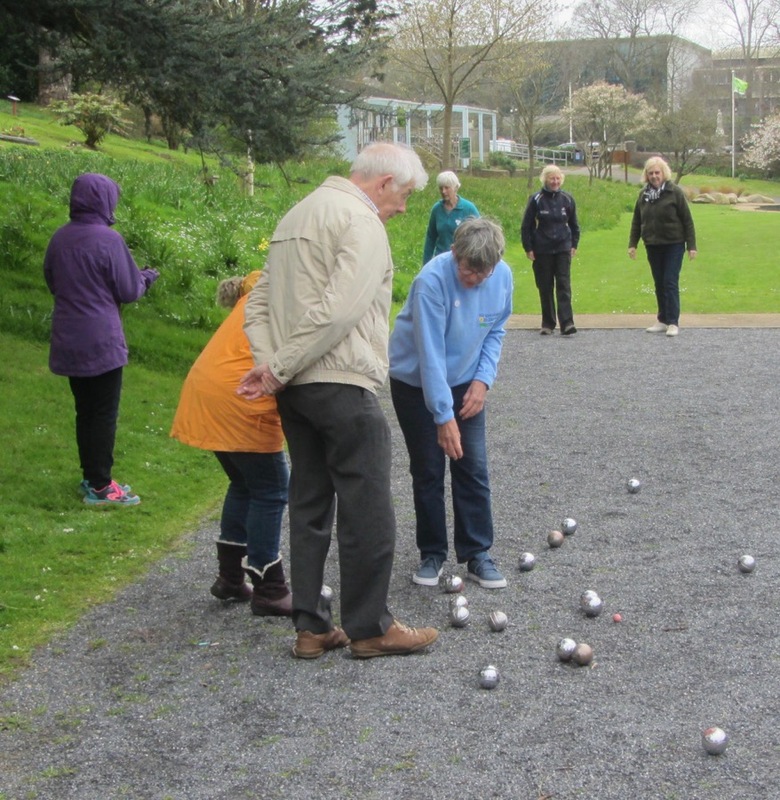 Regular players bring boule sets which may be shared but, if necessary, a limited number of 6-boule sets are available for hire from the café at £1, with a returnable deposit of £3. The charge of £1 per session, due to the café, will be collected at the court in exchange for a team badge. A variety of delicious drinks and snacks will be available at the café after sessions, which normally last approximately 1hr to 1½ hrs. 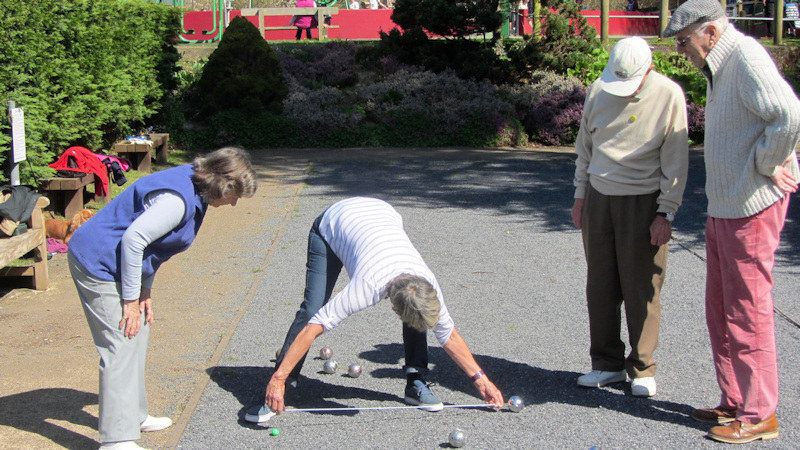 Jennie Hayden tel: 852204 or click Petanque to email.